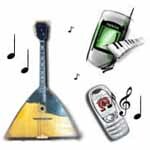 Russian Music Duo from Boston, Massachusetts consists of two members: balalaika virtuoso Elina Karokhina and piano player Boris Fogel. Balalaika virtuoso Elina Karokhina was born on April 24, 1973 in Leningrad (now Saint Petersburg), Russia. Elina began her formal training at the Mussorgsky Music College of St. Petersburg and continued her training at N.A. Rimsky-Korsakov Saint Petersburg State Conservatory, earning a degree as an Orchestra Soloist. She continued her training at the Conservatory, which included a brief residency in Germany. After, she returned to her native St. Petersburg and completed her education, earning a Doctor of Musical Art degree in the Balalaika. Following her graduation, she began working as a musician, both as a teacher and as a performer, teaching balalaika, mandolin, and piano. Elina Karokhina (Russian: Элина Львовна Карохина) served in the Russian Army in the Military Ensemble in the Northwest Order of Red Stars. This ensemble has won many awards in competitions across Russia, including in Moscow and Sochi in 2009. Lina has performed a number of private command concerts for high-ranking generals. 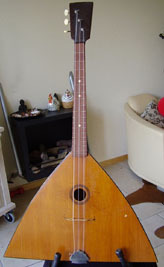 As a balalaika soloist Lina has toured all over the world. Russian Music Duo from Boston, Massachusetts (Russian: Русский музыкальный дуэт) is available for hire for all kind of private and corporate events, performing art centers, schools, libraries, etc. Gypsy Fantasy - "Tsyganskaia Fantaziya"
Balalaika prime Simon Lemberskiy from Brooklyn, New York. 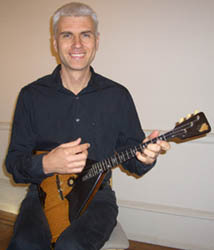 Balalaika virtuoso Lev Zabeginsky from New York City. Balalaika Contrabass player Leonid Bruk from Brooklyn, New York. 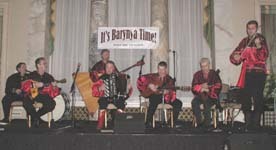 Balalaika virtuoso Sergey Vashchenko from Austin, TX. for motion pictures, television shows, videogames, 100% legal, fully licensed.